In the Bible the word Tanniyn occurs 28 times in the Bible and is normally translated “dragon.” It is also translated “serpent,” “sea monster,” “great creature,” and “reptile. Ideas of creation science, is not taking a stand on the age of the Earth. The word called :Tanniyn: couls it be about dinosaurs and dragons too. Bones from dinosaurs have been found all around the world. The Book of Revelation twice refers to "the dragon, that ancient serpent, who is called the devil and Satan. Then could christian really fear the hidden truth about dinosaurs? Not to mention in the bible about the other missing 95% species that went extinct that ever lived on the earth. Rather than have a discussion on creation theories from the Bible. How did dinosaurs be less discussed than dragons, sea-monster, serpent and big fish?. As far as I'm concerned, the Dragon does not exist, there is no fossilized evidence of such creatures. They are creatures of myth, and I love to read about them. The reason that Dinosaurs are so talked about is because the reality is more exciting than fiction, these creatures which are so unlike anything we can imagine capture the imagination of all. The fossil record for Dino's is compelling and has allowed us to build a clear idea about not only what they looked like, but their modes of life also. Reality is more interesting than fiction in this case, I see no link between dino's and the Bible. There is this one 27 million dollar Creative Museum that presents origins of the Universe, Life, Mankind and man’s early history according to the book of Genesis, all created 6000 years ago an over six-day period. They want to sell to every school in America wail the science community is up set about it. Where are all the Christian on this forum, when this topic of dinosaurs shows up? Or do they prefer the crouching dragon that they fear in fiction? I am a Christian, that is to say, I believe in Jesus Christ. I believe the Bible is true. Dinos are mentioned in the Bible, it is in the book of Job, in chapters 40 and 41. The word dinosaur is not in the Bible, however, the Bible describes two of them the behemoth and the leviathan. There is a lot of science in the Bible. Maybe the ancients unearthed a dinosaur skeleton and imagined how the creature would have been when alive. I know it would have scared the beejeebies out of me if I found one and had no clue as to what it was. I could have easily concluded it breathed fire and was a demon beast. My point exactly. Adventures used to come home with all sorts of cool and wierd things. It took most people of Religion on earth 1500 years to accept the earth was round. How long will it take for most people of Religion to accept there were dinosaurs rather then dragons? I don't know. I do know at least one person that claims dinosaurs were on the ark. It is kind of cute, but weird. Did you know that if they had to put every Animal in pairs onto the Arc it would have to have been the size of Ireland, not 450 feet long 75 feet wide and 45 feet high equating 100,000square feet not enough by anyone's reckoning. You can house all the base pairs of every animal alive today in the Ark as it was. You do not need every last animal... just the base pairs. Evolution will take care of the rest. Real Evolution that is. Ie; You would not have to bring dogs, coyotes and wolves, as they are all dogs, and would spring form the same pair. Just as all the colors of Men could come from one color of parents. As to dinosaurs. We have no idea what was alive before the flood. So, all canids sprang from two dogs that somehow had all the genes needed in their pockets--and just happened to recreate pre-diluvian species. Pre-diluvian species of dogs, different from the original pair, came from mutation. Please list all the 'base' pairs that you speak of. If someone comes up with a counter argument to you, move the goal posts, so please also explain what 'real evolution' is. Please also explain, how we have fossils which we have dated from 100's of millions of years ago? I know that i won't get a response with anything but regurgitated information. But worth a guess for sensible debate i guess. I have not moved any goal post. Just because you do not understand how it was done, doesn't mean it wasn't done. Base pairs just like the example I gave. You would not need all the relatives of dogs, wolves, just a pair, and the rest would come about from real evolution. Take the BS model they drilled into your head for human evolution, a common ancestor, and posit it in the model with a Genus, a family group. Base pair = male and female. Simple. 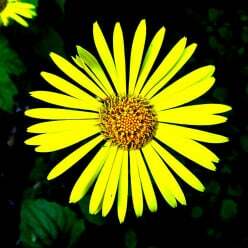 And then real evolution will take its course and that genus will flower into diversity within its family group. As far as Carbon Dating... it has its own set of issues to be over-come. It is founded on pre-suppositions and carried by assumptions. It is not the exact science they would have you believe. Mollusks, seals from the Bering Sea, and many many other suppossedly datable materials show us the problems with it as a measure of time. There are even fossils which date different at one end of the fossil to the other. Vary by millions of years. None of it is exact science... though many push it as such. ok, Just because you think it was done, doesn't mean it was. I'm not going to debate with you because all you will say is that it is not an exact science, please show me some exact science which proves the arc existed! Radiometric dating is very very accurate and the assumption that it is based on is radioactive decay of known elements which is very well understood. It does have a margin of error like any experimental technique and these are taken into consideration, you are trying to push the ark only taking base pairs and the fact it existed as fact. I have yet to see any proof. You are the one who pre-suppossed the existence of the ark in your statement. I simply pointed out that the animals could fit. You're the one with the issues about the ark. And the assuptions do exist. Unstable uranium (U, parent) eventually change into stable atoms like Lead (Pb, daughter). When scientists date rocks, they do not actually observe the atoms changing. They measure the products of the change, which they assume took place in the past. But what if they are wrong about their assumptions? Assumption 1: The original number of unstable atoms can be known. Scientists assume how many unstable (parent) atoms existed at the beginning based on how many parent and daughter atomes are left today. Assumption 2: The rate of change was constant. Scientists assume that radioactive atoms have changed at the same rate throughout time, ignoring the impact of Creation or changes during Noah's Flood. Assumption 3: The daughter atoms were all produced by radioactive decay. Scientists assume that no outside forces, such as flowing groundwater, contaminated the sample. Yup... a lot of assumtions and issues with carbon dating. The oldest known dog lived over 31, 000 years ago. Scientist in 2008 found the remains in a cave located in Belgium. This dog has been named Paleolithic and resembled a Siberian Husky. Unlike the Husky, however, this dog was twice the size and had more teeth. Was it a pair of husky upon the Ark, then evolved to 1500 breeds which led to 400 million dogs that exist on our planet today? One new breed of dog for every three years. Now consider that one pair per one species out one million other species jammed onto the Ark which has survived today. Not counting the 95% missing extinct species along the way. Many preachers claim the T Rex and all the other dinosaur were made into baby pairs. Then maybe the dinosaurs went extinct because the polar bears and lions refused to eat vegetable any more served on the Ark and dinosaurs were too small and lack experience to survived. Help me out here, give me a piece of lettuce, I trying to think in the shoes of a christian. You have not heard me argue dinosaurs on the ark at all have you. And yes base pairs. See if this clearifies it for you. The science of how speciation occurs, and the definition of a species versus the biblical kind, does explain how many variations of the same kind of animal can arise quickly from small populations, such as those on Noah's Ark. The definition of species is different for many scientists and is not a standardized term. Many scientists define species as a population of animals that are reproductively isolated from other similar species. Reproductive isolation can occur in a number of ways and result in speciation from one kind of animal through events that isolate one variation (species) from another. Many of these isolation events have been identified and are described as behavioral isolation, ecological isolation, and geographical isolation, to name a few. Geographical isolation is one of the best understood events and likely the most common. Geographical isolation results when two variations of the same kind of animal migrate and become separated by a geographical barrier preventing the two animal variations (species) from having contact and interbreeding. Once completely separated, the two populations of animals possess variations of some genes, resulting in two "species" that differ in appearance (color, size, etc.) and behavior. The colorful Ensatina salamanders of the Pacific coast are good examples of geographical isolation. These little salamanders migrated south through the Sierra Nevada Mountains and the coastal mountains of California. The drier San Joaquin Valley, between the two mountain ranges, prevents large-scale interbreeding between several species of these salamanders. Each species looks different, but when they are brought into contact with each other they will breed and produce hybrid offspring. The migration pattern that facilitated Ensatina speciation and the ability to hybridize indicate that these salamanders belong to the same kind of animal. African leopards and South American jaguars would be another good example of two species of the same kind of animal geographically isolated from each other. Ecological isolation results when animals of the same kind live in different habitats. Bears provide another example of how scientists classify animals as different species that are the same kind. Grizzly bears (Ursa arctos) and polar bears (U. maritimus) are ecologically isolated most of the year, but can produce fertile offspring when they come in contact with each other. The ability to reproduce in the wild suggests that they are a single kind of animal separated only by their different fur color and other minor physical features that enable them to adapt to different ecosystems. Eastern and western meadowlarks, Sturnella magna and S. neglecta respectively, are classified as different species and provide a good example of behavioral isolation. Eastern and western meadowlarks don't typically interbreed in the wild, partly because they don't readily recognize the mating song of the other species and partly because they prefer slightly different habitats. Both species are nearly identical in appearance and are physically capable of interbreeding in the laboratory, and occasionally hybrids between the two species are identified in natural habitats. The potential to reproduce, and the nearly identical appearance and genetic constitution of these two bird species, certainly qualifies them as the same biblical kind, in spite of their classification as different species. There are more examples of how different kinds of reproductive isolation cause speciation from a common kind of animal. Speciation events are documented for nearly every kind of animal that has been described, and recently it has been estimated that 10 percent of all animal species still hybridize (mate with other species, producing fertile offspring) in the wild, and even more when brought into contact with each other in captivity. This evidence indicates that most species had a common ancestor from which similar species have descended. This might appear as evolution, but it is not. How this would happen without evolution can be illustrated by considering the descendants of the animals aboard Noah's Ark. Millions of Species in a Few Hundred Years? Some people who object to a recent-creation interpretation of Genesis point to the fact that such a view requires that all modern animal species on earth must have descended from these same species saved on the Ark. If the Ark had roughly 30,000 animals (less than 15,000 species or different kinds), how could the animals on the Ark produce millions of species within a few hundred, or a few thousand, years after the Flood? Surely this would require a faster evolutionary rate than even the most ardent evolutionist would propose. However, it is not correct to assume that a few thousand species would have produced the millions of species extant (alive) today. There are fewer than 30,000 extant species of mammals, birds, reptiles, and possibly land-reproducing amphibians (many salamanders) that were represented on the Ark. The millions of other species are the invertebrates (>95 percent of all animal species), fish, and a few aquatic mammals and reptiles that survived in the water during the Flood. The processes of speciation discussed above need to only double the number of animal species from 15,000 to 30,000. This is certainly a feasible process based on observable science. Evolution, defined as large-scale changes that produce one kind of organism from another kind, is not capable of producing the millions of species observed today from the 15,000 different kinds of animals on the Ark. However, the genetic potential of each kind of animal and the freedom from genetic equilibrium, combined with mutations, would allow the appearance of many different species from the few animals on the Ark. The genetic potential to produce a wide range of variation in any animal kind or species, regardless of how these terms are defined, easily provides 30,000 different species from fewer than 15,000 different kinds. Genetic potential is the amount of variation that a kind or type of organism can produce from the genetic material that is already present. It is possible for a pair of animals to harbor nearly all of the alleles (variations of a type of gene) for their kind in their genome. Other alleles result from mutations to existing genes (human red hair color would be a good example of this). For example, two humans (Adam and Eve?) could have all the common DNA variations (called polymorphisms) found in all ethnic groups. This would require only one DNA base difference every 667 bases between the two of them. This is hardly a difficult situation for the genomes of two people and can account for much of the genetic variation observed in people today. Rare polymorphisms are few in number compared to common polymorphisms and are likely the result of the accumulation of mutations. These rare polymorphisms are frequently referred to as personal polymorphisms, since they can be used to identify an individual. Domesticated animals, as examples of genetic potential, do not motivate a scientist to name a new breed of dog a species. However, there is more phenotypic and genetic variation in domesticated animals than there are in many, if not most, wild "species" of animals that were discussed above. The only requirement to be classified as a species, in many cases, is for two populations of animals to be reproductively isolated. Most people would be hard pressed to identify an eastern meadowlark from a western meadowlark, but they are classified as different species simply because they have different mating songs and are reproductively isolated in the wild. Many of these animals are so close phenotypically (in appearance) that only an expert can tell them apart. Even humans have far more phenotypic variation than many animals that are divided into separate species, and scientists are not about to start classifying different ethnic groups of humans as different species. The decision to classify an animal as a new species isn't completely arbitrary, but the modern scientific definition of a species is not determined by the biblical kind. To maximize the number of animals on the Ark with the genetic potential to produce all the variation we see today requires a genetic engineer who knows the genetic composition of each animal. Genesis 6:20 tells us that God brought the animals to Noah to be put on the Ark. It clearly indicates that God chose the animals to be saved and it is likely that the choice of animal was based on the genetic potential to produce a variety of animals after the Flood. God is the omniscient genetic engineer who chose each animal and made the variation in extant animals possible from all the animals on the Ark. The other important factor to be considered in this scenario is something called genetic (Hardy-Weinberg) equilibrium for the gene frequencies of a particular population of organisms. The change in gene frequency is used in evolutionary theory as evidence for microevolution, but this theorem can also be applied to a creation scenario since it does not involve the formation of novel genes from no genes. Hardy-Weinberg theory states that gene (or more accurately, allele) frequencies will remain constant as long as these requirements are met: random mating, no migration in or out of the population, no mutation, no genetic drift (chance changes in gene frequencies), and no selection for traits. When the animals left the Ark none of these conditions would be met, enabling microevolution (change in allele frequency) and speciation events. These events include the selection of mates (for humans specifically), environmental selection of some traits, accumulation of mutations, chance genetic drift, and migration of animals taking with them different combinations of genetic material. Because of the small populations of animals immediately after the Flood, gene (allele) frequencies would rapidly be altered as animals migrated around the globe, adapted to various environments based on their genetic constitution, and became reproductively isolated. This would result in many variations of the original animals on the Ark, just like artificial selection produces many variations in domestic animals. This is not just a creation paradigm. Many population genetic studies, for any animal, include migration and reproductive isolation leading to speciation. The migration of humans around the globe is well-documented and based on the changing gene frequencies (such as ABO blood alleles and mitochondrial DNA) in each population. It is also well documented from DNA and protein sequences that all animals had migratory events that contributed to the ecological, behavioral, and geographic speciation events observable today. All of the examples given above do not require creation of new genes or genetic information via natural processes from genetic information not previously in existence (evolution). The genetic information we observe today was supplied at the time of creation in these animals in their genomes, and their genetic potential has created the variations frequently classified as species. It is true that mutations create many new variations, but this is not an example of Darwinian evolution. Mutations work on pre-existing genetic material, are accompanied with a loss of information, and lead to extinction, not the conversion of one animal kind into another animal kind, regardless of how many years mutations are given. The Creator God endowed His creatures with the potential for all the wondrous varieties that not only are evident in the fossil record, but also surround us today. This variation is made possible by the genetic information given to animals at the time of creation. It is a fairly simple concept, and makes a lot more sense than the BS you evolutionist spew. And you do know that when a Lion and most other Carniviours make a kill, that the first and favorite part of the meal is the ruman... the partly digested vegatation... interesting huh? And you know that if you put lions on a diet of vegies and oats and other non-meats... that they excell in health? Probrably not... I doubt you would find an interest in something so telling. Pahahahahaha. Is that a joke? IF you take the "base pairs" (which I don't think you understand the meaning of, otherwise you would have said genome), of the root of every major speciation, there is about a 0.0000000000000000000000(ad infinitum)% chance that the genome will mutate the exact same way for every single organism that already existed at the time to be remade. That is an example of the worst pseudo science. What you will achieve is a lot of different organisms to the ones you've ever had. Also, in that icr.org link, whoever that " Dr. Criswel" is, he's certainly not a good scientist, a lot of what he says is wrong, especially "It is true that mutations create many new variations, but this is not an example of Darwinian evolution." That's a joke. Mutation is the foundation of Darwinian evolution. If it's not based on mutation, it's based on sexual differentiation, which doesn't create new species. It only creates different versions of the same species. Humans are all one species, and an interracial couple are not making a new species of human when they breed.... They are just sharing their genes so that the phenotype of skin colour is mixed. Nothing is new there genetically.. What you have there, is still a homosapien. "The processes of speciation discussed above need to only double the number of animal species from 15,000 to 30,000. This is certainly a feasible process based on observable science." That's also a load of BS. 15,000 new species from 15,000 species in a few hundred years? This man must have got his degree from a Church newspaper. For starters, having only 2 of the animal would mean the chance of positive base pair mutation is inconceivably small, it can take thousands and thousands of years to evolve one species into another, because when mutation occurs, it more often results in the death of the animal than the evolution of it. Further to that point, by the time the 2 animals populate enough to start spreading into other environments (necessary for evolution to occur, otherwise no speciation will occur), the several hundred years would be up. What a joke. He is not the only Scientist who supports this... there are many. But I supppose none of them are as qualified and smart as you all who buy into your theories lock stock and barrel. And what makes you think everything was "re-made", the bible doesn't state that. It doesn't speak to what evolved here after the flood, at all. I'd like to challenge that. Find me any credible scientist that challenges the concept that mutation is not the foundation of evolution. And also any scientist that challenges that from a population of 2, it would take thousands, if not millions of years for evolution to occur, not a few hundred. After all, I will find you sources that say that all of these things are true. All of which are backed up by that amazing thing called evidence. And it's not that people buy into theories, it's that if they make logical sense, they will be accepted. Not this wishy washy pseudo-joke-science. And if everything was not "re-made" then all fossils would suddenly be wrong. Where otherwise a lineage of evolution was understood and it was clear that this had occurred, you would have to say "nah the bible said this, so evidence must be wrong, after all the Bible was written by 40+ strangers and that's the most credible source of science"
Oh I know... only Scientists who think like you are credible. This guy beleives the Noahs ark story by the way. TMMason, scientists who base their theories on science are credible. Are you forfeiting the argument? I asked you for a source that backs up your otherwise lonely statements, are you conceding to the fact that you have none? Some people take bishop Usher a little to seriously. The earth is not 6,000 years old. The age of reasoning is about 6,000 years old. Before that almost all traditions were still spoken and there is no written communication before, so therefore no records. Everyrthing before written language is a mystery, so basing one's beliefs on the writings of men only leads to dellusional behavior. Such as believing that the earth is 6,000 years old. No animals died on the trip and they live by the same temperature and all were vegetarian, Isn’t that inconvenient, accept for Noah he was a 600 year old man. About10 million people living on the earth at different parts at that time, somehow missed out on this experience of drowning. When they landed. Then what happen to the Dinosaurs? The bottle neck theory states that something happened on the earth at about the time of Noah’s flood. Almost every person on earth died. All the people on the earth today came from just a few people that somehow survived. I believe it was the people on the ark. About the dinosaurs, the earth was different after the flood. Even the atmosphere was changed. In fact it had never rained before. The water came up like a mist from the ground. After the flood the air was thinner. The plants that grew were different, the dinosaurs had a hard time surviving in this new atmosphere and feeding on the new plant life. Although some did and I am not sure all the dinosaurs are gone today. About the fossil record. There have not been, nor ever found any transitional fossils. That is to say a fossil where one thing has begun to turn into something else. What the fossil record does show is that the species suddenly appears. You know like it was made that way by a creator. Recently fossils were found of prehistoric snakes, snakes with legs. New evidence is discovered on a regular basis to prove creation. These discoveries are pretty much kept hush, hush, and do make the news, but just barely! When a dinosaur that had eaten a mammal, that is to say, the fossilized mammal skeleton was found inside the fossilized dinosaurs stomach. CNN ran it across the bottom of the screen. I saw it the first time, then sat in front of the television for an hour and waited for it to scroll across again. It did, but that was the extent of it. No newscaster made any comment about it, no other mention of it, I did not see it in any newspapers, although it may have been in one. The real significance of this is that dinosaurs and mammals are separated by a rather large number of years as assigned by the geologic time scale. According to it, there is no possible way a dinosaur could have eaten a mammal and yet the fossil evidence states otherwise. That’s another issue, the geologic time scale has not been proven although it is presented as such. These time periods are assigned time periods not proven time periods. Remember when dinosaurs were giant lizards? But . . . Scientist now have determined they were actually birds? That brings me to the most recent discovery of a fossilized flying dinosaur that was found and guess what the contents of its stomach was? A bird. No not a feathered dinosaur, but a bird! The universe, many believe that the universe must be billions of years old because of light, light travels at a specific rate, so in order for us to see a distant star it is believed that it would take so many light years to reach earth, however, that is not necessarily the way it is. What if we see the light from the star from the point of its creation leaving us, going out into space not coming back to us from space. God is AWESOME and amazing and does not necessarily do things in the way we might think they are done. They grew from 8 people to 27 million, must have been the greatest baby boom ever in history. If each couple had babies every generations Each couple would have had made 155,000 babies in each couple”s life span. Mean wail dinosaurs roam the earth worldwide still searching for food and starving to death. The only mammal ever recorded in their stomach was rodents because mammal the size of man would have been eaten in minutes. There is no word, that relate to dinosaurs in the bible, yet 700 species have been founded, recorded and named. I do not know where you think you find "unicorn" in the bible , but that is just a buch of BS, Castle. The Hebrew words is translated as “unicorn” should be “wild ox” or even "Rinoceros", and is "reym". So why would KJV translations choose unicorn over rhinoceros? Apparently they didn’t know that unicorns were, in fact, mythical. Since 1382 the translations were consistently unicorn. Most simply the translations were being influence more by tradition and ancient versions rather than a study of the Hebrew word itself. But context is everything. In Job 39:9 the reference to a “furrow” suggests that an animal used to plow was in the vicinity and that isn’t a rhino. You should actually read the links you paste from. If you had read the entire thing you would see you are propagating a bad translation. Again... as I said, that is BS. Reminds me of the additions to the verses the trinitarians inserted in the bible to promote their own polytheistic view. You need to go back to the original Hebrew, Aramaic or Greek, for the proper context and actual words to translate. Anyways... if you would learn, and not just cut and paste from links to stir the pot... you might gain some better understanding. And those translators using a name of an animal which to them was real, doesn't speak to God being wrong... it speaks to man being wrong. Which is usually the case. The bible does not contradict itself.... peoples interpretations of the Bible contradict themselves and others. The word unicorn appears in the Bible many time,' I did not say it was a flying pink horse unicorn, NOW Dragons in the bible WOW!!! Take your pick Hebrew and Greek OT and NT texts appear in king James' bible too. There is nothing cute about blatant ignorance to rationallity. 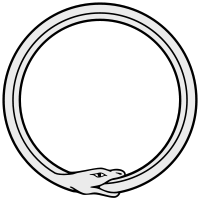 The Ouroboros (or Uroborus) is an ancient symbol depicting a serpent or dragon eating its own tail. Or maybe you are only chasing yourself. Makes me feel like making a dragon sculpture out of chocolate. Then have people starting eating it from the tail end. Choosing one would make you wrong, because we do not have enough evidence out there to say that creation and evolution are 100% wrong or right. Why can't people just be intrigued by how cool life is instead of picking sides? There was a TV programme a few days ago about this topic. It suggested that the ancients discovered the bones of dinosaurs, just as modern man has, and called these creatures dragons. Yes but the Bible wasn't written by ancients, it was the word of God, was it not? By your reckoning, God did not have any part in writing the Bible and so it was the ancients making up stories full of false information based on what they saw at the time? That the Bible is the word of God, is your religious belief, which you are entitled to. However, historians can trace some biblical stories to other older traditions. For example, the story of Noah was based on that of Gilgamesh, which was written a couple of thousand years earlier. In addition, the belief in dragons is not limited to the Middle East, where the Bible was written. The Chinese also have a belief in the existence of dragons, yet they do not share the same religious texts as those contained in the Bible. You all do not seem to grasp that not all the animals in the world had to be in the ark. Only land animals would have required the ride. God mentioned bringing aboard the ark “every living thing of all flesh...of the birds after their kind, of animals after their kind, and of every creeping thing of the earth after its kind” (Genesis 6:19-20). The text later describes those animals that would join Noah and his family as “beasts” and “birds of the heavens” (Genesis 7:2-3). Thus, we know that Noah was not required to take aquatic animals (which could have survived the Flood outside the safety of the ark). Also, creatures such as mollusks, tunicates, echinoderms, sponges, protozoans, coelenterates, certain arthropods, and some varieties of worms would have been able to survive in the water; thus, Noah likewise did not have to carry them on the boat. Only those land-dwelling and/or air-breathing animals that needed protection from the water were required to be on board. The Genesis word “kind” (Hebrew min) is not the same as the biologists’ “species” of today. Noah did not have to take two or seven of every species of animal. He had to take two (or seven) of every kind. That is to say, he did not have to take two German Shepherds, two Golden Retrievers, two coyotes, and two dingoes. He simply had to take two of the dog “kind.” Dogs, dingoes, coyotes, foxes, and wolves all can interbreed, and therefore are the same kind. We can immediately multiply that number by two (two of every unclean animal)—42,200. After adding the clean animals (which were much fewer in number), this would yield approximately 50,000 vertebrate animals onboard the ark. Recognizing that the majority of these animals would have been small (e.g., birds, reptiles, etc. ), we can safely estimate the average size for each animal at roughly the size of an adult sheep. Morris and LaHaye have suggested that since one railroad boxcar is capable of holding 240 “sheep-sized” animals, all of the animals that Noah would have had to accommodate (using known species, not kinds) would have taken up only 36 percent of the ark’s capacity. They concluded: “In other words, assuming a minimal size for the ark and a maximum number of animals, we find that the ark was not too small for the task, as many have claimed” (1976, p. 247, emp. added). John Woodmorappe took his analysis one step farther. Using the floor-space recommendations for the housing of laboratory animals, he documented that the cumulative area of the ark’s three decks was more than adequate to provide all the necessary floor space required to accommodate the ark’s inhabitants (1996, pp. 15-16). And what you call "Evidence", is nothing more than interpretaion of certain facts. And that interpretation is the propblem you all have. And you need to grasp the FACT that a population of 2 animals will not mutate into THOUSANDS of different ones in a few hundred years. Let alone will they in THOUSANDS of years. And what did all of these carnivores eat? Any pseudo-science to back you up there? And what about a disease? Just one animal had to carry a deadly disease and the humid climate will have carried it and killed every single one of them. Exactly. Such a genetic bottleneck would have been apparent in the genome no matter how it was done, and in fact have caused the extinction of most species. You have no clue what was here to begin with... so you have no clue about what went extinct after. Or do you have a crystal ball Psyche? We have complete fossil records and a proven accurate carbon dating procedure? Do you dispute this? Or do you have a crystal ball that sees otherwise? And please explain to me how evolution occurred over a few hundred years from just 2 animals? Those are assinine assertions to make. We in no way, shape, or form have a complete fossil record. That is straighjt out false. And carbon dating has many issue, and is based on assumptions. And you guys have never read the Boble have you? There were 7 pairs of clean animals taken, and 1 pair of un-clean. And God chose the ones which went, so no sickness or defects. Carbon dating is based on the half lives of molecules that have never faltered. Assumptions, what a joke. We have complete fossil records* not a complete fossil record. Please keep your StrawMan fallacy to yourself. Now, please explain to me how evolution occurred over a few hundred years from just 2 animals?? please explain to me how evolution occurred over a few hundred years from just 2 animals? In my experience when someone looks to "AnswersInGenesis" for their information, they lack all rational thought. Creating bait threads and refusing to consider any point that doesn't fit your lil theories. And you all know that if you would search past the first page or so of google, you would actually get some opposing views. Welcome to the wonderful world of "Sidewalks", thanks to the Obam Admin. You cannot even get the number of pairs right. And as I said, it is in the posts above. Read them, or follow the links. It was explained in depth above, pasted in here, and on other sites. Go back and read my answers. I can't find them, I have a theory that you're pretending like you've pasted the answer on the off-chance that I'll drop it, please paste it again. The question of course being "how did 2 animals evolve into thousands of others in only a few hundred years" because that pseudo-scientist certainly didn't explain it. He just said it's "feasible", but that's not an explanation, backed or unbacked. Follow the links and read. The first one goes into it... oh you dismissed that one... the second... oh you dismissed that one... how about the others... oh you dismissed those also. You simply do not accept the explaination... that is all. They speak nothing of evolution occurring over hundreds of years. You know why? Because there is no evidence anywhere to support that. That's why you're making this poor excuse of a diversion right now. You have made an argument based on magic. Evolution is a long process, read up m'boy. The theory of evolution is a theory that explains the fact of evolution. The theory that is based entirely on mutations (unlike your earlier assertion). As for what AIG says about carbon dating, it is not true. AIG is full of lies that can be disproven with EVIDENCE. In any case, they also create a strawman by trying to discredit carbon dating because carbon dating is not used for dating prehistoric fossils. It does not go back far enough. Radiometric dating is used for that. No it doesn't... no where have we seen transitional fossils in the record. So therefore there is no support for your understanding of evolution from the fossil record. And to state evolution takes millions of years is false, and can not happen in hundreds is false also. "Rapid evolution is clearly a reality over fairly short time periods, sometimes just a few generations," said Josef Uyeda, lead author of the study and a zoologist at Oregon State University. "But those rapid changes do not always persist and may be confined to small populations. For reasons that are not completely clear." And to say it is, is BS. The dating methods are flawed and that is a fact. Look at the assumtions... they exist and that is its weakness. A significant assumption is that all living things absorb 14C at the same rate as everything else. But that's not true. 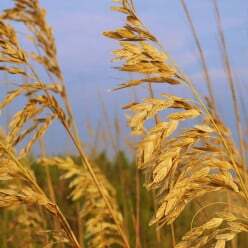 Plants discriminate when it comes to absorbing carbon dioxide containing 14C. Some plants take up less then would be expected. When you carbon date these types of plants, you get an inaccurate result. The tests will give results showing an age much older then it actually is. Different types of plants absorb 14C at different rates. This means those different rates need to be calculated into the equation when determining the age. In the case of a “prehistoric ” plant that is no longer in existence, there is no way to get an accurate age through carbon dating of the plant. Another problem is that there is no way to know the original ratio of 14C to 12C in the atmosphere when the organism was living. This ratio has not been constant. For example, the ratio of 14C to 12C was higher before the industrial revolution. When we started burning massive amounts of fossil fuels it released huge amounts of carbon dioxide into the earth atmosphere. The higher levels of carbon dioxide diluted the amount of 14C in the atmosphere. This makes things that died during the industrial revolution seem older, when carbon dated, than they truly are. magnetic field, the fewer cosmic rays can get to the atmosphere. There is evidence that the earth’s magnetic field has fluctuated and is now decreasing. As a result more 14C is being created today. Since the 14C level is higher now, and in carbon dating it is assumed the 14C level is constant throughout history, it makes old things appear to be older than they actually are. But I know... no one knows the truth but you all. Debunked your myths about carbon dating & radiometric dating methods. One... that quote above was not from me... so to post it as me is truly deceptive. Are you saying that it is not based on those assumtions? The reason it is brought up is because it is based on assumptions. Dude... go drain a lake and you will find insects under the ground there. I have been to flood zones after floods and the insects are still there. They are a resilient bunch. And as to the vegitation, I have areas around me that flood for years in a row continuously, then when the water is gone the vegetation springs back up. you will also find frogs and other water life, fish, etc, within that area when the rain returns and it floods again. How do you think they get there? And castle there are not a million species today from the ark. There are 23,300, + or - a few, land species. Not millions. "Tree-ring dating (see Topic 27) gives us a wonderful check on the radiocarbon dating method for the last 8000 years. That is, we can use carbon-14 dating on a given tree-ring (the 8000-year sequence having been assembled from the overlapping tree-ring patterns of living and dead trees) and compare the resulting age with the tree-ring date. A study of the deviations from the accurate tree-ring dating sequence shows that the earth's magnetic field has an important effect on carbon-14 production. When the dipole moment is strong, carbon-14 production is suppressed below normal; when it is weak, carbon-14 production is boosted above normal. What the magnetic field does is to partially shield the earth from cosmic rays which produce carbon-14 high in the atmosphere." Also "Thus, at least within the last 9000 years, the earth's magnetic field has fluctuated and those fluctuations have induced fluctuations in the production of carbon-14 to a noticeable extent. Therefore, as already noted, Dr. Hovind's claim that carbon-14 has been slowly building up towards a 30,000 year equilibrium is worthless. You now have the technical reason for the failure of Morris' model." So to conclude, carbon dating has been proved to work accurately, and there is absolutely no evidence to the idea that the atmosphere is not already in equilibrium. And insects: your argument now is that 900,000 species of insects all had previously evolved to handle an unprecedented GIANT FLOOD? maybe 100,000 water borne insects, as for the 800,000 others which were all previously populated in masses on the land (which is where you will find insects - not swimming). And you'll find that most insects will drown like any other land organism, they can't survive long periods of time in water, let alone rapids. You obviously never went to a museum. Yes there is. In museums. No it isn't and the fossils that you deny exist are solid, tangeable evidence of that. I dont know who said that but wether or not an evolutionary trait survives or not is down to natural selection and that is completel clear. No it isnt and there is evidence that they are not. AIG is not evidence. Years of testing and cross referencing with 3 different types of dating to all show the same date in a lab is evidence. Carbon dating isnt used to date fossils. Why are you talking about carbon dating? Learn what you can in in religion and get out. Just because one is raised with a bible does not mean that there are no other books to read. Educate yourself with everything, not just the small minded quandries of the few. Dinosaurs did exist at one point, but by the time we were smart enough to talk about them, they had been extinct for millions of years. If one uses all of their time to learn how to be indoctrinated, they cease to learn anything later, when it counts. Again, the earth is and will never be 6,000 years old again. That was how ever many billions of years haven't gone by since the earth was 6,000 years old. I never understand why to be religious means having to deny the evidence for evolution. It should be possible to believe in a deity, whilst recognising the origins of the species. The problem seems to be that the religious texts we have were written hundreds or even thousands of years ago, by peoples who could have no knowledge of modern science. The story of Noah was written in the Bronze Age. There are few other areas in life, where we still have the same beliefs as Bronze Age people. Yet, because some of their ancient stories are a part of our religious beliefs, people believe they should be taken literally. No one takes the stories of ancient Rome or Greece or of the Vikings seriously anymore. They are recognised for what they are, ancient legends. Yet, if it had been the religion of the Vikings which had survived to the present day, rather than those of the Middle East, then the religious would now be declaring the reality of Thor and the literal truth of the legends about him. There is nothing wrong with religious belief, but it shouldn't be put above real scientific evidence. I disagree. I see many problems in believing things without evidence. It paves the way for fundamentalists think that the crazy things they are doing are justifiable. Ie, flying planes into buildings, shooting abortion doctors, suicide bombings, attacking gay people, shunning non religious people from society and so on. Muldania, believing in a deity is faith, religion does not preclude even a deity, Buddhism, is a religion. It's all of that crap that doesn't make sense that was made up around the deity that is referred to as religion (beliefs). Two things seem to be confused here. The biblical story of Noah and the flood has no part in the evidence for evolution. I have never heard an evolutionary biologist state that evolution took place after the flood, as a result of the animals which were on the ark evolving over a few hundred years. Evolution has taken place over millions of years, for which there is evidence. However the story of a world-wide flood is not one backed by scientific evidence, but is an ancient story, created by an ancient people, who knew nothing about evolution. Your saying 1500 species somehow grew to 95 million species then when 95% species went extinct, it boiled down to One Million species that are living today (not counting breeds) All within 4500 years and no body ever notice the greatest miracle that man ever experienced. Maybe 80-90 or more billion people who ever lived and died on earth just after the great flood were all asleep. More importantly, the bible does not care to explain how 900,000 species of insect came about after taking 3.8 billion years to become that number, in a few thousand years. Now that's funny. 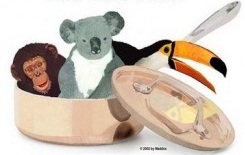 A cook book " How to prepare and eat endangered animals". tucans have a large duck-like bill that must first be removed before chewing. You can also use the discarded bill as a dish or to decorate the table! If all these animals were involved in a masses animal orgies like TM says. I can only imagine a million animal coming out looking like duckbill platypuses or totally looking like creatures from another planet. uhhh what? brb i must go erase my brain now before i puke. TM said all animals came from 1500 species from the Ark, that grew into millions of species over a few hundred years. That means there had to be 95 million species within that 4500 years. Because about 95% species have went extinct that boiled down to one million species today..
You do not know the difference between a Genus and species? Genus... biology: a group of related animals or plants that includes several or many different species. And there are today about 23,300 land species, not millions. It is extremist BS like that which shows the deceptive nature of you all. There is a million insect species alone and have not even counted the plants yet, or were they drown at sea. He seems to believe that 2 animals will evolve into hundreds and thousands over a few hundred years, despite what any tests of evolution have shown. I have posted as much evidence as you. You post a site and claim it is fact, and that mine are junk. That is your own refusal to look into it... not mine. And your use of "two animals" shows you have no clue about the Bible and the Flood. Why do you assume he was talking to you when he responded to Castleoaloma's post? Nay Mr Mason! You in particular have only shown me one link concerning evolution, and that was a man who claimed that "mutation cannot lead to evolution" and that the evolution of 15,000 animals into 30,000 species, having only 2 of each is "feasible", stating that in the face of all things Evolution! I on the other hand have provided links concerning the reason for why mutation is in fact the foundation of evolution, and the reasons for why it takes thousands of years for new species to develop. And only then it is because of a large population (more than 2 - billions) and a need for such change. Now, in front of all of these nice people, care to educate me on how the evolution of 15,000 or 23,000 different species could have possibly occurred over a few hundred years. I have supplied a lot of links... if you only looked at one, then that is on you. I have posted many a link in several threads this morning. And you are assuming evolution takes millions of years. I know some of you even claim Punctuated equilibrium (also called punctuated equilibria) is a theory in evolutionary biology which proposes that most species will exhibit little net evolutionary change for most of their geological history, remaining in an extended state called stasis. When significant evolutionary change occurs, the theory proposes that it is generally restricted to rare and geologically rapid events of branching speciation called cladogenesis. Cladogenesis is the process by which a species splits into two distinct species, rather than one species gradually transforming into another. Punctuated equilibrium is commonly contrasted against the theory of phyletic gradualism, (your view), which states that evolution generally occurs uniformly and by the steady and gradual transformation of whole lineages (called anagenesis). In this view, evolution is seen as generally smooth and continuous. In 1972, paleontologists Niles Eldredge and Stephen Jay Gould published a landmark paper developing this theory and called it punctuated equilibria. Their paper built upon Ernst Mayr's theory of geographic speciation, I. Michael Lerner's theories of developmental and genetic homeostasis, as well as their own empirical research. Eldredge and Gould proposed that the degree of gradualism commonly attributed to Charles Darwin is virtually nonexistent in the fossil record, and that stasis dominates the history of most fossil species. So is fast or slow? And as the fossil record shows us, thing just show up all of a sudden, no gradual change recorded in the record at all. Dassie rats are the only remaining members of a once diverse family that first appeared in the Oligocene of Africa. Why is god trying to drowned the Dassie Rats!!!!! "And you are assuming evolution takes millions of years. " It took 3.8 billion years (according to radioactive dating, which you opposed, and I counter opposed, and you dropped) for us to get the amount of species that we had at the time of the great flood. Then you propose, that in 200 years, all of the 23,000 species of land animals were able to evolve into the 50,000 land animals that were made extinct. And your basis for this claim is "Eldredge and Gould proposed that stasis dominates the history of most fossil species"
Statis, being "species will exhibit little net evolutionary change for most of their geological history"
So your basis for the rapid unprecedented evolution over 300 years is that of the proof that organisms barely evolve over their entire geological history... Hahahaha, I think one of us greatly misunderstood the other, because from where I'm standing, you've just given evidence against yourself. "And as the fossil record shows us, thing just show up all of a sudden, no gradual change recorded in the record at all" suddenly being in relation to 3.8 billion years, not 300. A new species evolving over 300 years would be classified as "suddenly" and you are proposing over 20,000 of these occurrences. I posted about punctuated equalibria to dispute your, evolution take millions of years, BS. It is funny how you all switch to millions if needed, and if that does not cut it you cry PE. And the fossil record does not support gradualism, not in any way shape or form. things just spring up then disappear. LOL... that is tooo funny, rbeo. Sorry to dissapoint you TMMason, but the caption would read more like "damn , this is some good popcorn." I posted this only because I am currently eating popcorn. I have actually not even been reading your posts. That is okay, it fit well. Thanks for the compliment. i have been practing to be more psychic lately. Pahaha: You really don't see it do you? You've actually armed me with evidence against yourself. It's not "Slow or Fast" it's "slow or NOT AT ALL"
Statis: "that most species will exhibit little net evolutionary change for most of their geological history, remaining in an extended state called stasis." Means that evolution will not occur over 100 billion million years without a stimulus that kills most of the population and allows the new population to breed. "When significant evolutionary change occurs, the theory proposes that it is generally restricted to rare and geologically rapid events"
After the flood, which rapid event made the 2 of each animal rapidly evolve into all of the other species of it's kind? NONE, because you need a large population to be culled down, when you have but 2, you either die or survive. Statis therefore, does not apply to Noah's Ark. Statis states that evolution does not occur, making new species, unless a rapid event forces the population to reduce to the ones with the genes allowing their survival. Otherwise Statis states that it would take even more than thousands of years for an animal to evolve. SO where does 300 un-touched years come into it? "Punctuated equilibrium is commonly contrasted against the theory of phyletic gradualism, (your view), which states that evolution generally occurs uniformly and by the steady and gradual transformation of whole lineages (called anagenesis). In this view, evolution is seen as generally smooth and continuous." This one taking over thousands of years. SO where does Several Hundred years fit into it? it doesn't. So thank you for arming me with more evidence against you. I never said millions. I said more than "several hundred", up to thousands as you and your pseudo scientist suggest. You gave me evidence of this statis which states that evolution does not happen without stimulus. Considering the fact that we are arguing how 2 of each animal evolved in to 20,000 different new species over a few hundred years, it's looking pretty strongly in my favour right now.. So even the evidence you found against my argument ends up backing my argument. So I ask again, where is the evidence suggesting that the evolution of a population of 2 of each species can evolve into 20,000 new species in a few hundred years? to form a good Theory of the origin of Man and earth along with a base of good sense. I study the bible a lot when growing up, it had far too many contradiction or not good enough answers for me to continue when there are millions of other fine books out there. You think all answer lead to one book, which creations explain very little about the origin of man and you call it simple truth. I do not know what your talking about Castle. the reply you quoted is to Phylanth, not you. I think you got a lil confused... no biggie bro. Science vs Religion; The ultimate showdown of human origin? Christians : Do you really believe that world is 6k years old only? do you really believe that world is 6k years old only or consider it as different scale?